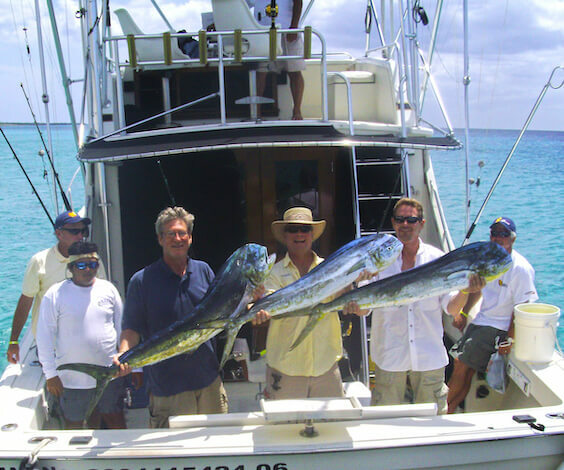 If you aren’t hooked on Deep Sea Fishing by the end of the day, we’ll be surprised. We’ll organise a fitting fishing charter boat to fit you all onto, and take your group out to sea for an epic day out in the elements. Deep Sea Fishing means big fish – who will be the first to catch a Big Snapper or Salmon? Not only will we school you on some fishing techniques, but we will pack a cold lunch for you all – in the emergency case that no fish are caught… Bring a few casual bevvies to stack up the esky with too! The best part? We organise basically everything (food, ice, emergency sunscreen, fishing rods) – so all you need to worry about is having a long sleeved shirt, a protective hat & a towel. Want things to get a little competitive between the boys? 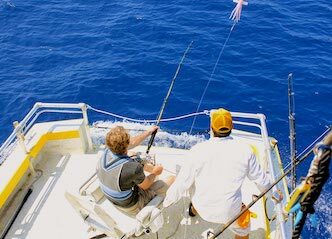 If there’s a large group of you, opt to split up into two boats and compete for the largest number of caught fish per boat. Game on. You see some beautiful wildlife – keep your eyes peeled for whales, dolphins & maybe even sharks! There’s no better way to spend a day than out on the ocean – the salty breezes, endless views of ocean on the horizon and serenity will be in your dreams for months afterwards. You bond with your friends – out in the ocean, the peace and quiet allows for quality conversations with your mates. By the time we arrive back to dock, you’ll know each other even better than before. Bigger catches up for grabs – lots of species of fish are only found in the deepest of waters. The sheer variety of fish available makes Deep Sea Fishing way more fun than the regular joint. If there’s a perfect place to go Deep Sea Fishing on the East Coast of Australia, the Gold Coast would be pretty up there. If the boys are hanging around the GC for a little while, look into checking out these other must-do activities! Take the boys to Holey Moley, and order an Espresso Martini on the side of a few rounds of golf! Go on a brewery crawl and visit Balter, Burleigh Brewery, Black Hops and Lost Palms – craft beer heaven! Hike Mount Warning – but keep in mind, the name warns you for a reason. Hire Stand Up Paddleboards from the Boatshed in Currumbin! Explore the GC ‘burbs with the G Link from Broadbeach to Helensvale. Stop off anywhere you find captures your eye – or just go for a ride and chat with the boys!